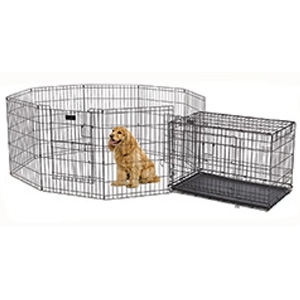 A Midwest exercise pen is designed keep your dog safe and secure. They are high quality, strong, and will provide a lifetime of safe, reliable service. These pens are not just for dogs - they are great for all kinds of pets and animals, including rabbits and tortoises.